Apple's new OLED iPhones rumoured to get triple-lens cameras, new screen size | What Hi-Fi? Apple is gearing up to release two new OLED iPhones with triple-lens cameras, according to a new report. The report comes courtesy of Macotakara (via 9to5Mac), a Japanese blog with a pretty decent track record of accurate Apple rumours. It says that both the successor to the iPhone XS and XS Max will come with three rear cameras. 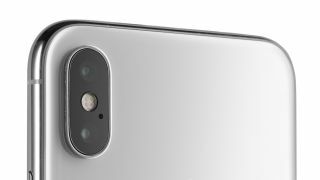 Previously it was thought only the follow-up to the XS Max would get the triple camera set-up. Three rear cameras would add more lenses like wide-angle and ultra-wide angle, giving more shooting options. The report also says the follow-up to the iPhone XS will get a new screen size: 6.1in instead of the 5.8in panel currently found on the XS (this would match the screen size of the iPhone XR). This is apparently being done to accommodate the larger camera module. The new XS should still have an OLED screen, not the lower quality LCD display found on the XR. The would mean slim bezels, potentially giving it a smaller footprint than the current 6.1in iPhone XR. According to the report, Apple will also make the iPhones' chassis slimmer. This is to partially offset the increase in size of the triple-lens camera bump. We assume features such as HDR and Dolby Vision support will carry over, but we'll probably have to wait until September, and Apple's annual iPhone launch, for the full reveal.